President, Ability Center There are probably not too many people more qualified to run a mobility company than Darrell Heath. 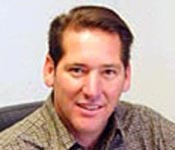 Before starting his own company in 1994, Darrell worked 17 years as a machinist, assembler and installer for a mobility equipment manufacturer. “I started working part time for the company when I was 15,” Darrell said. “I was an auto mechanic by trade.” Now he is President of Ability Center - the West Coast’s largest company that sells and services vehicles, wheelchairs and equipment for people with disabilities. Ability Center quickly grew under Darrell’s leadership. In just a couple of years after he started his new company, Entrepreneur Magazine/Dun & Bradstreet, in 1997, listed Ability Center as the 41st fastest growing privately-owned small business in the United States. Today Ability Center has 55 employees with stores in San Diego, Phoenix, Las Vegas and Orange County, California. Darrell does indeed carry on the legacy of giving back to the community. 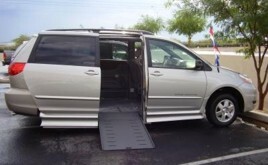 For example, Ability Center recently donated an accessible van to a family who lost their’s in Hurricane Katrina. The company also donates to other worthy causes such as the Brain Injury Foundation and sponsors athletic programs for children with disabilities. In addition, the Ability Center staff members actively participate in their local Paralyzed Veterans of America, Multiple Sclerosis Society, Amyotrophic Lateral Sclerosis Association and a variety of wheelchair sporting events. 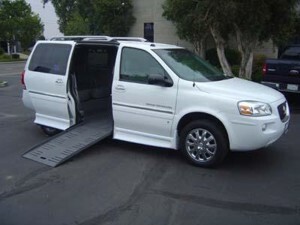 Full-Size Van from Ability Center Customer service is key to Ability Center’s success and this has paid off in customer loyalty and satisfaction. “We found a rare company, one that actually believes in and practices customer service,” said customer Patty A. Another customer, Jo D, said, "My Toyota Rampvan is great and the service I get at the Ability Center is wonderful." Ability Center offers a full line of products for people with disabilities including: mobility vans, wheelchair vans, mobility equipment, wheelchairs, power wheelchairs, mobility scooters, lifts and ramps. 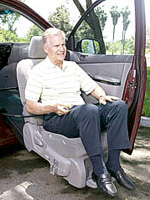 For additional information on products and services provided by Ability Center, visit their Web site at www.abilitycenter.com.